French manufacturing giant Société BIC has announced that it has finalized the takeover of manufacturing sites and the distribution business of writing products, lighters and razors in East Africa owned by Kenyan multi-millionaire Chris Kirubi’s Haco Industries Kenya Ltd. The Kenyan Competition Authority approved the transaction unconditionally on last October. The financial terms of the transaction were undisclosed. Haco Industries announced in August that it was relinquishing its manufacturing and distribution rights of BIC stationery and personal care products to French company Société BIC, the original owners of the brand. Until now, Haco Industries was licensing Bic’s stationery and distributing all of the French group’s products. Haco Industries, one of Kenya’s largest consumer goods manufacturers, has agreements with several multinationals to manufacture and sell their brands in Kenya and East Africa. The company manufactures soaps, beauty lotions and pasta. 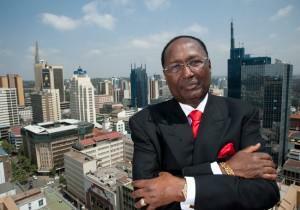 The company is 100% owned by Kenyan business mogul Chris Kirubi who is the largest shareholder in Nairobi Stock Exchange-listed investment company Centum Investments.